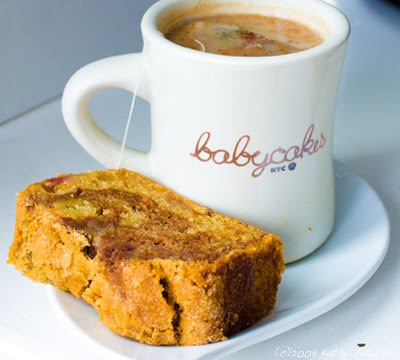 Top 5 Babycakes NYC Must-Buy Secret Ingredients. One of her favorites. She says it is high in omega-3 fatty acids as well as lauric acids which allows the coconut oil to be stored as energy and not fat. Used in many many many of her recipes. I discovered arrowroot powder when I was obsessively tweaking my award-winning Lemon Tofu Custard Bars. Arrowroot powder is a thickener. Though similar to corn starch, it is much easier to digest in the body. It has been used for years by native Americans. It has a mild flavor, so I use it in everything from savory soups to sweet desserts. Wow. This one is the kicker. I have never used it, but it is a staple ingredient in many of Erin's cakes, breads and cupcakes. It is meant to be similar to wheat flour, without the gluten! She likes it much better than rice flour. Great for me because I have never really liked using rice flour as a main four ingredient. A very important ingredient in Erin's cookies and cupcakes. She says that without it, many delicious bakery creations would fall apart! It adds stickiness and viscosity. 5. Flax Meal and Coconut Flour. Two powder ingredients that you probably don't own. Coconut flour is a thickener and adds a nice taste. It is used in Babycakes frostings. Flax meal is like a substitute for eggs. It provides protein and adds fiber. Two yummy and healthy ingredients that aide in the nutrition content of the treats from the Babycakes kitchen-any now your own kitchen! !